Over the last years, Heavens Gate Audio has developed completely new approaches to conductor technology, shielding materials, and damping technologies. 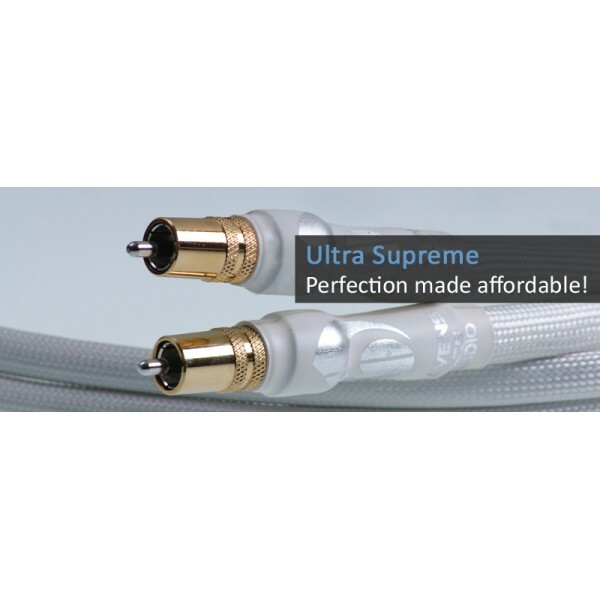 The Ultra Supreme Series is intended for use with the finest home music and film installations in order to bring you the full realization of the musical experience. This Series also eliminates the reactive inductance and capacitance that create variable performance within electronic systems. 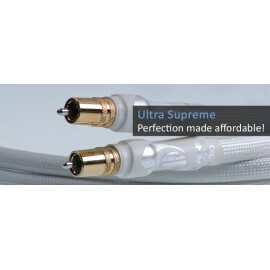 The resulting performance of the Ultra Supreme Series delivers the timing, spatial and dynamic elements of the finest audio systems without sacrificing the natural tone and timbre. It delivers the optimum performance from your components and is the most uncolored and articulate series of audio cables at it's price. The lower bass is unbelievably fast and extremely controlled, offering a speed and pitch definition that truly brings the music to life. The mid-range is deliciously rendered, with a vibrancy and truthfulness of timbre that actually breathes life into the recorded voices as well as those of the demanding instruments. The treble is extended, smooth and detailed, without the "edge" and aggressiveness that is so often found in other cables.